Over the past few years, we've seen a remarkable rise in the popularity of competitive gaming. The fighting game community gets bigger and bigger; the Dota 2 International's prize pool is almost up to $10 million; and League of Legends remains one of the biggest games around. CHICAGO - Robert Morris University Illinois is pleased to announce the addition of an online sport to its athletic program. Commonly referred to as eSports, the activity consists of organized video game competitions. Specifically, RMU students will compete in League of Legends, one of the largest and most popular eSport games. Although eSports have long been a part of the culture of gaming, competitions have seen a large surge in popularity in recent years. Robert Morris University recognizes the value and legitimacy of eSports and is excited to add eSports to its already rich athletic program. Associate Athletic Director Kurt Melcher states, "Robert Morris University has always been at the forefront of providing opportunities for a diverse student population with different interests and skills. 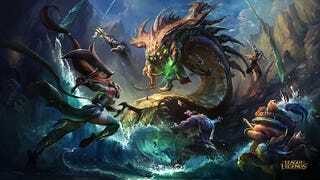 League of Legends is a competitive, challenging game which requires significant amount of teamwork to be successful." Robert Morris University is in the process of recruiting students for the first year of competition, beginning with the fall quarter in September, 2014. RMU will join the Collegiate Star League, made up of 103 institutions of higher learning and compete against other universities including Arizona State, George Washington and Harvard. Significantly, Robert Morris University is among the first in the nation to offer substantial scholarships for members of the first RMU Varsity eSport League of Legends team. Qualified gamers can earn scholarships of up to 50% tuition and 50% room and board. Currently there are over 750 schools in 46 states and eight Canadian provinces that participate in League of Legends High School Starleague (HSL). Robert Morris University seeks eSport athletes with experience in the HSL or similar for their inaugural competitive season. Teams in the Collegiate Starleague compete for Riot's North American Collegiate Championship and $100,000 in scholarship money. Qualification to the event can be obtained through league play or through the North American Collegiate Open tournament. Soon we will all be watching League of Legends tournaments on ESPN, and writing Hot Sports Takes about whether Faker can ever be as great as Michael Jordan.